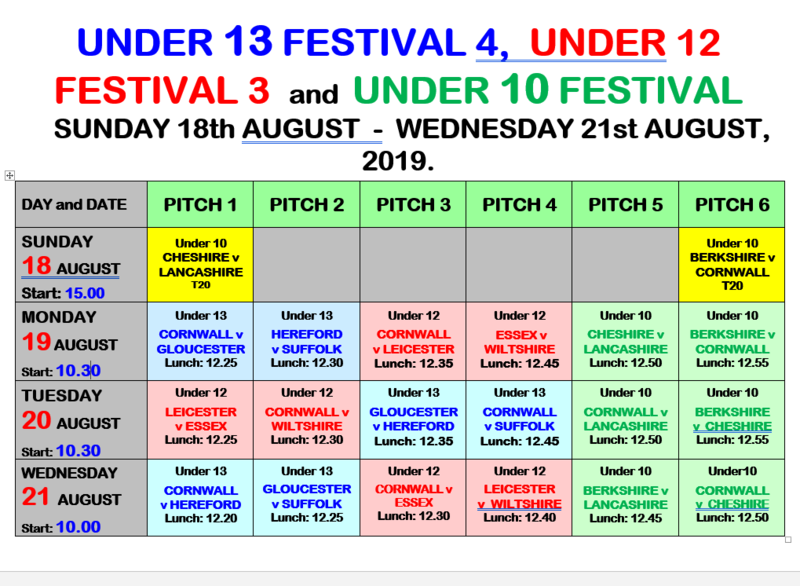 Confirmed teams: California, Cambridgeshire, Cheshire, Cornwall, Devon, Gloucestershire, Kent, Lancashire, Leicestershire, Nottinghamshire, Oxfordshire and Worcestershire. 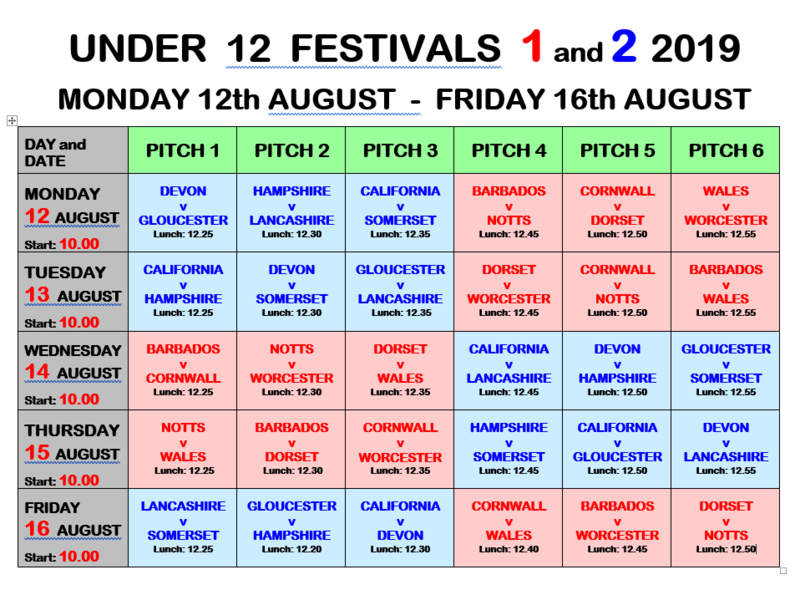 Confirmed teams: Barbados, California, Cornwall, Devon, Dorset, Gloucestershire, Hampshire, Lancashire, Notts, Somerset, Wales and Worcestershire. Confirmed teams: Cornwall, Essex, Leicestershire and Wiltshire. 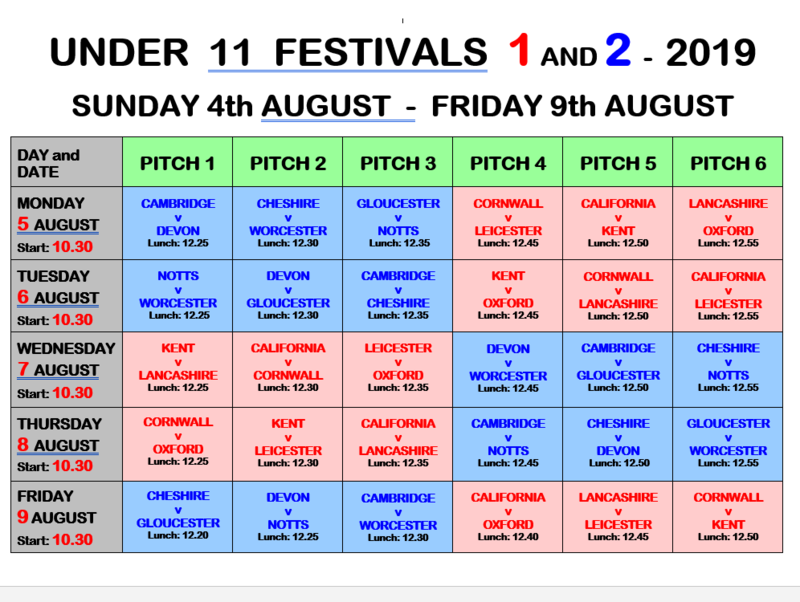 Confirmed teams: California, Cambridgeshire, Northants, Oxfordshire, Shropshire and Staffordshire Colts. 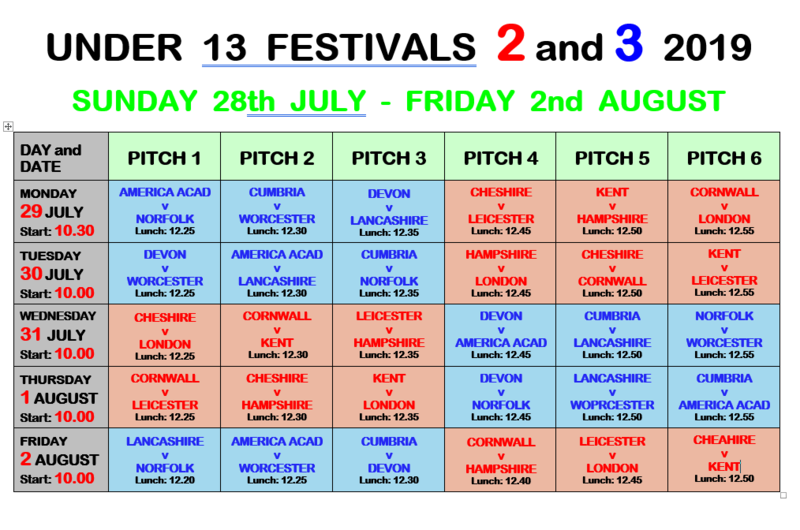 Confirmed teams: American Academy, Cheshire, Cornwall, Cumbria, Devon, Hampshire, Kent, Lancashire, Leicestershire, London, Norfolk and Worcestershire. 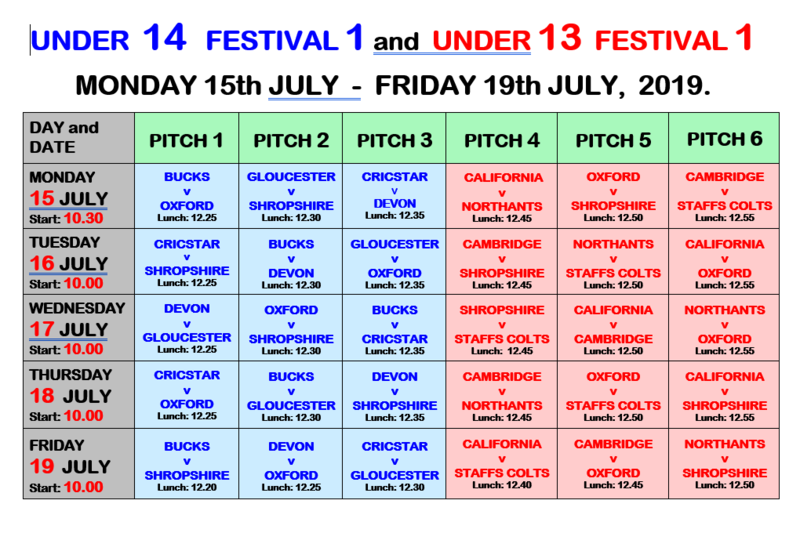 Confirmed teams: Buckinghamshire, CricStar (North East USA), Devon, Gloucestershire, Oxfordshire and Shropshire. 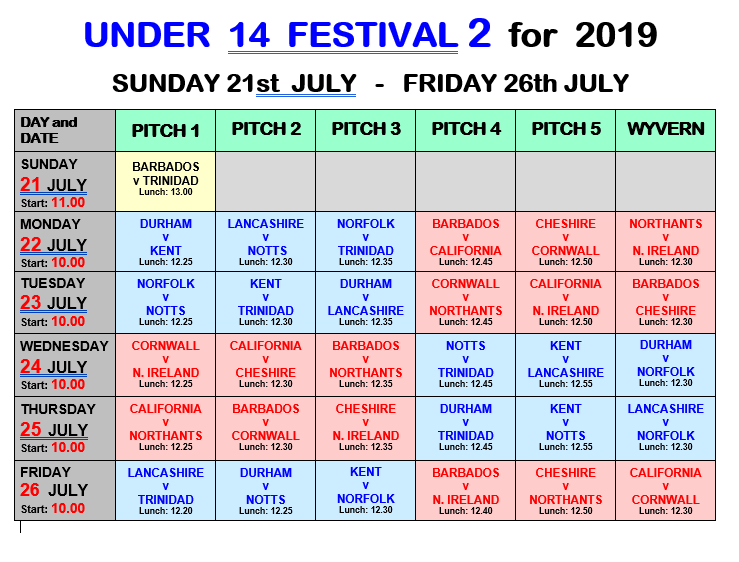 Confirmed teams: Barbados, California, Cheshire, Cornwall, Durham, Kent, Lancashire, Norfolk, Northants, Northern Ireland, Nottinghamshire and Trinidad.